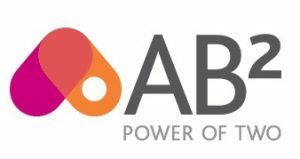 AB2 (Squared) is a partnership between two leading SAP Consultancies, Absoft and Abaco, dedicated to assisting UK companies to implement and realise the full potential of the SAP S/4HANA solution. AB2 (Squared) provides the combined expertise of over 250 experienced SAP consultants and a track record of project delivery and implementations in almost 50 countries worldwide. Food and Beverage companies constantly need to accelerate time to market with products consumers want. AB Squared can help your organisation reach peak efficiency through SAP’s latest software, S/4HANA. This software provides companies with a proven framework to adopt industry best practices while attaining operational excellence. There are various areas in which S4/HANA can enhance your business processes. Empower business users with anytime, anywhere access to key insights delivered in context.